Most Of YouTubers Use Live Streaming To Chat Or Interact With Subscribers. 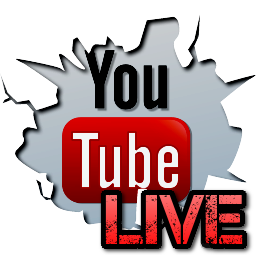 For Example – Many YouTubers To Answer Subscriber’s Question Stream Live Video, To Stream Live Gameplay. YouTube Live Can Be Stream Using PC Or Android Or iOS. If You Have An Android, Then You Need The Best App That Helps You To Go Live On YouTube. YouTube Gaming Is The Official App By Google. This App Is Different From Official YouTube App. In This, You Will See All Gaming Videos Of Over 25,000 Games Like Clash Of Clans, Brawl Stars, Cal Of Duty, Live Game Streaming And More. With YouTube Gaming App You Can Easily Stream Live Video To YouTube. You Must Have Android Version 5.0, 5.1.1 Or Later. Android V5.1 Is Not Supported. To Start Live Stream, Open YouTube Gaming App, Tap On Your Profile Avatar, And Select Go Live. Select Video Streaming Quality i.e. 480p Or 720p. Select The App And Add Description For Your Live Stream Like Clash Of Clans Gameplay. After 3 Seconds Countdown, Your Video Will Start Streaming. Game Live Is The New App By Samsung And Launched This Year. Samsung Devices Running Android Version Marshmallow Can Use This App. Game Live Has Also The Ability To Stream Live On Facebook, Twitch. You Can Start Streaming Immediately After Login To Your Account. You Can Easily Stream Video Up To 200 Minutes Of Video In High Quality. To Increase This Limit, Simply Opt Medium Quality. You Can Download It From Google Play Store For Free. The Official YouTube App Has Also The Ability To Go Live On YouTube. You Don’t Need Any Third Party App To Stream Live. However, There Is Subscriber Limit. You Must Meet Minimum Subscribers Requirement That May Be Of 100. You Should Have An Updated Version Of YouTube App. DU Screen Recorder Which Is Currently Best Android Screen Recorder On Play Store Has Also The Live Streaming Feature. With DU Screen Recorder You Can Stream Live Video On Facebook And YouTube Too. All You Need Is Latest DU Screen Recorder App. Go To Its Settings. Turn On Live Creator Option. Tap On The Floating Icon, Choose YouTube. You Need To Give Permission To Connect It With Your Google Account In Order To Stream Live. Once Connected, You Will See Your Channel Logo, Tap On Settings Option And Change Quality Of Live Stream. Add Description To Your Live Stream And Go Live. You Can Download DU Screen Recorder From Play Store For Free. Mobizen Live Stream By Mobizen Is Also A Good App To Stream Live Video On YouTube. Currently, This App Is In Beta And May Not Work On Your Device. You Can Choose Stream Mode i.e. To Stream Game Choose Screen, To Stream Own Then Choose Camera Screen. You Can Stream In 1080p Resolution. App Supports Real Time Chatting, Facecam Too. You Can Turn Off Facecam If You Don’t Want It. Mobizen Live Stream To YouTube Available In Beta Program On Google Play Store For Free. Previous Post:Rules Of Survival – Finally PUBG Is On Android!